Ingrid is 30 years old, and comes from Trondheim in Norway. She has a bachelor’s degree in Music Education from University of Wyoming in Wyoming, USA, and a master’s degree in Music Therapy from University of Limerick in Limerick, Ireland. Prior to coming to South Africa, Ingrid worked in Limerick as a music teacher at local music schools and as a music therapist at Music Therapy Ireland. Her primary instrument is the flute and she has experience from wind ensembles, American marching bands, community orchestras and Irish traditional music sessions. 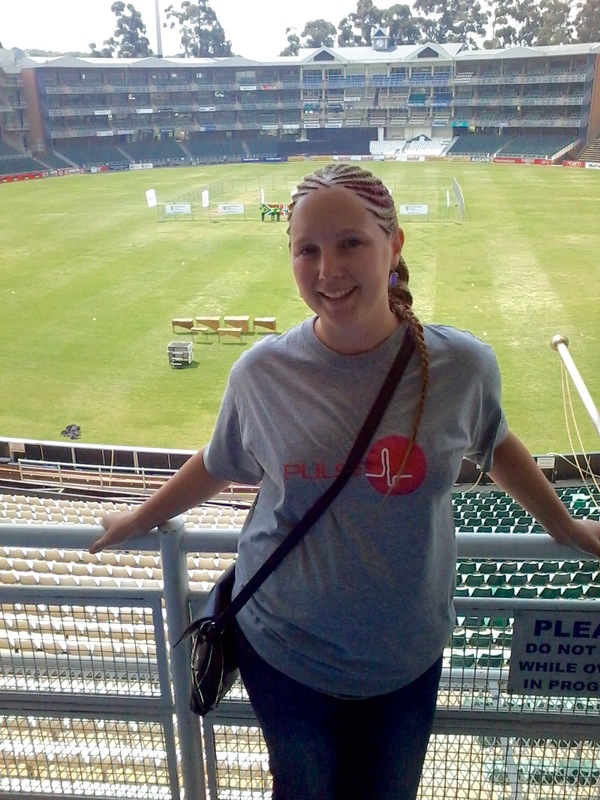 Ingrid has already spent a year working with PULSE in South Africa in 2014/15. During this year she stayed in Free State and worked alongside the tutor teams there to assist in developing strategies for integrating young people living with disabilities into field bands. 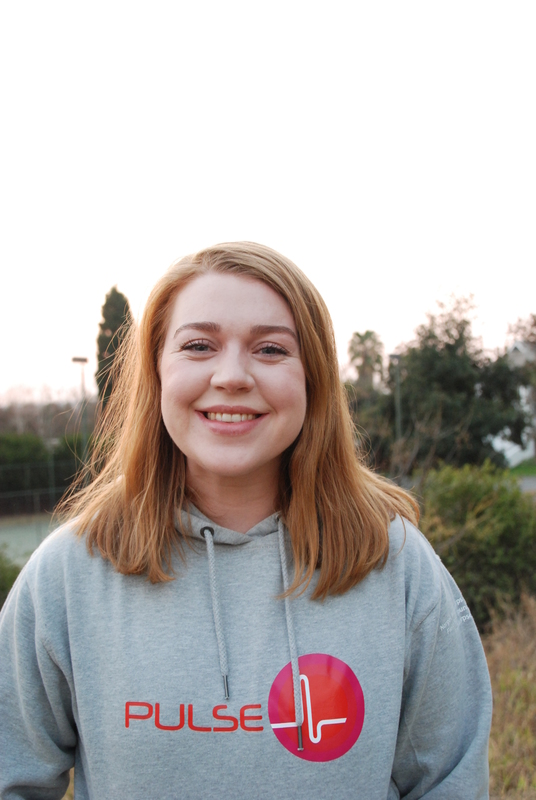 In 2015/16 she will be based in Johannesburg, and is looking forward to new focus areas at work, getting to know more field bands, and seeing even more of South Africa! Lisa is 27 years old, and is from the island Karmøy in Norway. She has a bachelor’s degree in Music Performance from The Grieg Academy in Bergen, Norway, and she also studied pedagogy at the same institute. In 2013 Lisa traveled to Malawi for a year with the FK project MOVE. Here she worked with young musicians at Music Crossroads Malawi, and she initiated several musical projects at this school during the year. The year after her return from Malawi Lisa received funding from the Norwegian department of foreign affairs to travel back to Malawi and continue her work and projects at the same school. Lisa has worked as a music teacher for several years in different arenas, and to teach music is a real passion of hers. Her primary instrument is the recorder, but she also plays the violin and in the past she has played different brass instruments. In the PULSE project, she will concentrate on the tutor teams in Free State, as well as continuing the work with FBF in developing strategies that integrate young people with disabilities into the bands. Lisa is looking forward to a year filled with experiences, adventures, and she is expecting to learn a lot as a PULSE participant! ‪ Ingvill Espedal is 28 years old, and comes from Sotra, an island just off the coast of Bergen in the western part of Norway. ‪In June 2015 she finished her master degree in voice performance and cultural entrepreneurship at the Royal College of Music in Stockholm, Sweden. Previously she has a bachelor in voice performance from the Grieg Academy in Bergen. In the fall of 2012 Ingvill travelled to Malawi with a FK-project called MOVE. In Malawi she worked as a music teacher at the organization Music Crossroads in the capitol Lilongwe. As a musician she really likes challenges, by engaging in all sorts of different music projects. 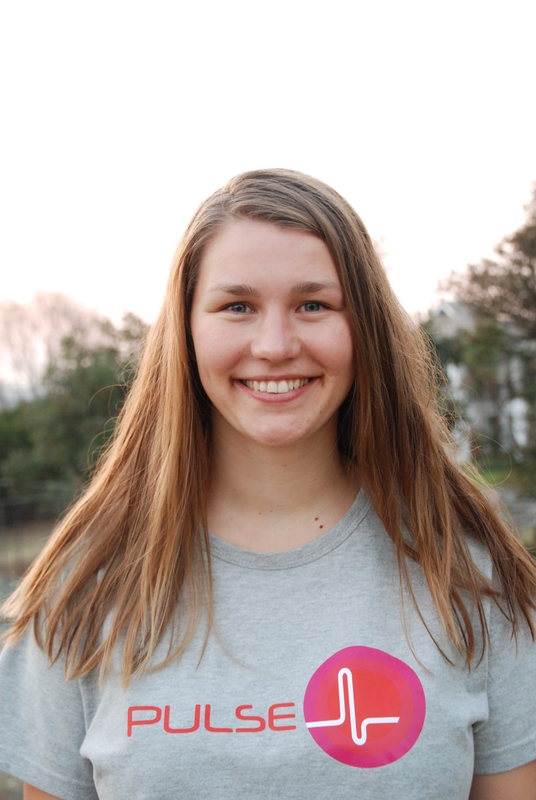 Ingvill has never played in a marching band, but she is really looks forward to learning more about that, and to work on the links between music and health with the PULSE-team in South Africa! Eva is 29 years old and comes from Bergen. She finished her master’s degree in Music Performance in 2011 from The University of Stavanger. Her main instrument is trumpet. In Stavanger, she worked as a music teacher, conductor and as a freelance musician both in Stavanger Symphony Orchestra and at the theater in the same city. Eva started her musical career in brass band at the age of 6. For the last 11 years she has played in two of the best elite brass bands in Norway; Stavanger Brass Band and Manger Musikklag. She has also worked as a teacher in many of the Norwegian Band Federation’s summer courses all over Norway. In 2012 she travelled to South Africa to work on the project “Bands Crossing Borders”. She was stationed in Durban where she worked as a facilitator at the Field Band Academy (FBA) for a year. In 2013 she continued her work at FBA, still with the same organization, but on the project called ROOTS. 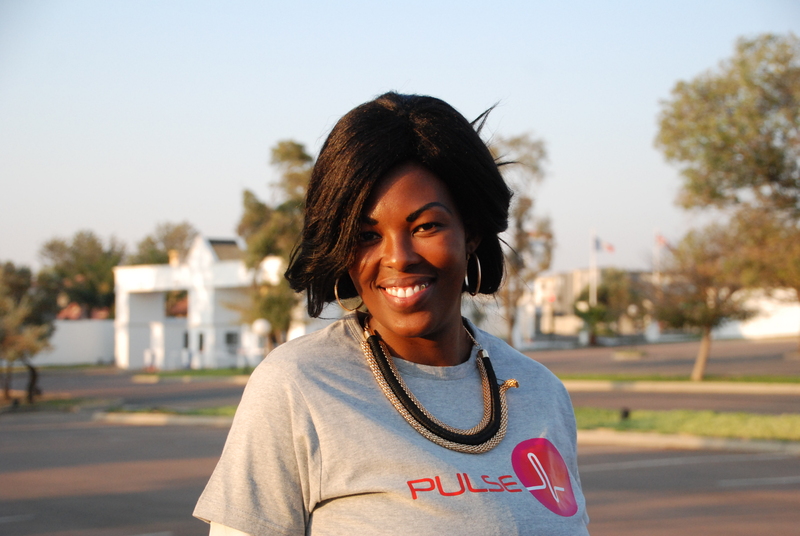 This year she is back in South Africa with PULSE. Her main task will be to concentrate on the tutor teams in Free State, as well as continuing the work with FBF in developing strategies that integrate young people with disabilities into the bands. Idun is 24 years old, from the island Tjøtta in Norway. She studied one year at Toneheim Music Academy before she moved to Tromsø, where she took her bachelor’s degree in flute and music teaching at the university there. While she was studying she worked in different school bands and she taught flute at Tromsø music school. During her studies she also did part of her student teaching in Port Elizabeth, South Africa. 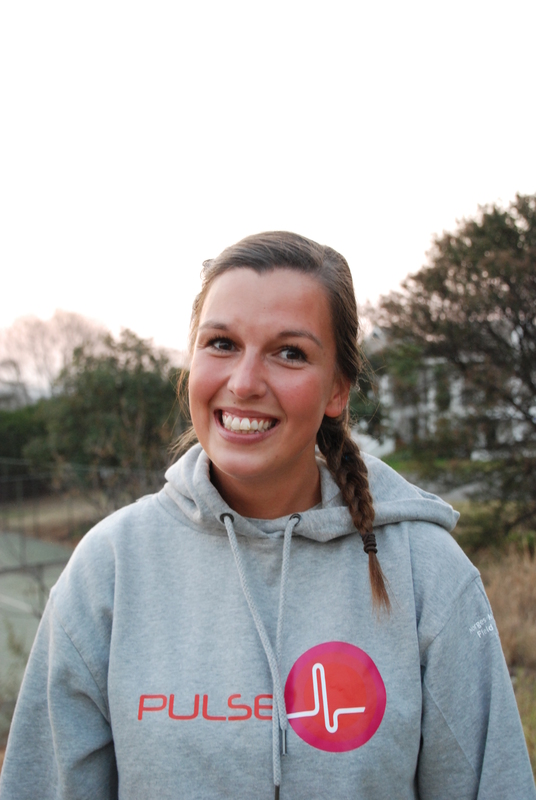 Now, Idun is very exited about living in South Africa for a year and to be part of the new PULSE team. She is looking forward to all the new experiences this will give her. 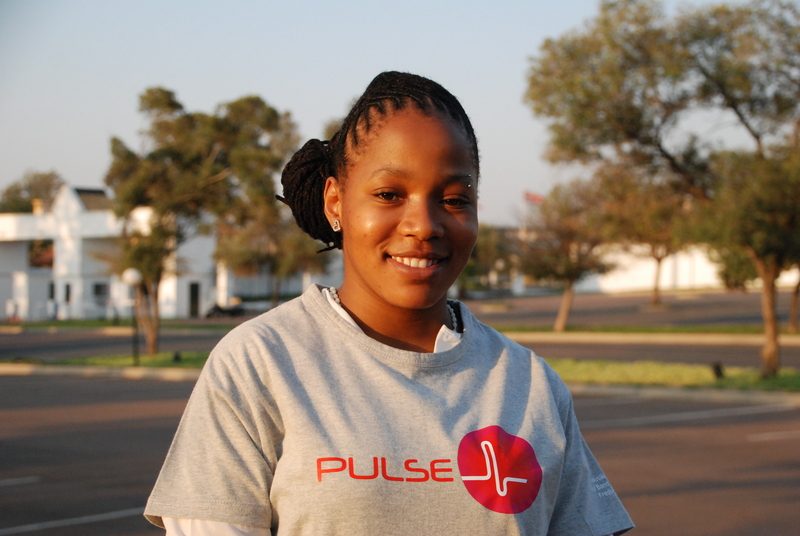 In the PULSE project she will work in Johannesburg until the end of this year, and then she will relocate to Kimberly to work with the new inclusive bands in Northern Cape. Solvor is 32 years old and originally from Finnsnes in the northern part of Norway, but has been living in Oslo the last 13 years. She has studied composition and composing at the Nordic Institute for Studio and Scene before she took a bachelor’s degree in Musicology at the University of Oslo. After that she took a post bachelor’s degree in Cultural Entrepreneurship at the Norwegian Academy of Music. Solvor has experience from working as a music teacher as well as a project leader for many community projects with youth. She is the manager of a music house for youth in the suburbs of Oslo. Solvor’s experience is mostly with choirs and music groups within the electronica, singer-songwriter and folk/country genres. She is looking forward to getting to know South Africa and to learn even more about the health benefits of musical activities. Godfrey is 22 years old and comes from Blouberg in Limpopo. He passed his metric in 2011 and has been with the Field Band Foundation (FBF) for the last eight years. In 2012/2013 he went to the Field Band Academy (FBA) where he passed his ABRSM grade 5 in both music theory and classical percussion. In 2014 he also played with the South African National Youth Orchestra at their winter course. While he was a student at the FBA he recorded a four-mallet piece called ”Rhythm Song”, which you will be able to hear on FBF’s next CD. 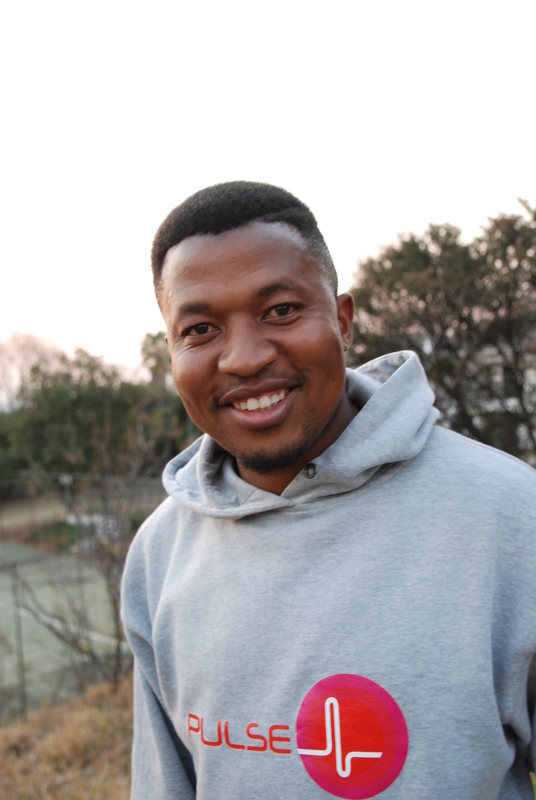 Godfrey started working as a tutor in FBF in 2013 after the academy. This year he is ready for Norway and Toneheim, and he is really looking forward to get to understand the concept and link between music and health, and to improve his musical skills. Who knows? Maybe he even gets to audition in other music schools in Norway? Mongezi is 23 years old percussionist from Soweto. He started playing marimba when he was still in primary school, and that was where he really fell in love with the instrument. He started in FBF in 2008 and has now been a tutor for four years. In 2014 he graduated from the Field Band Academy and this is where he was introduced to the PULSE project. He is really excited about being in Norway, to get many new friends, develop and learn a lot. Stella was born and raised in Kimberley. She joined the Field Band Foundation in 2000 as a dancer. 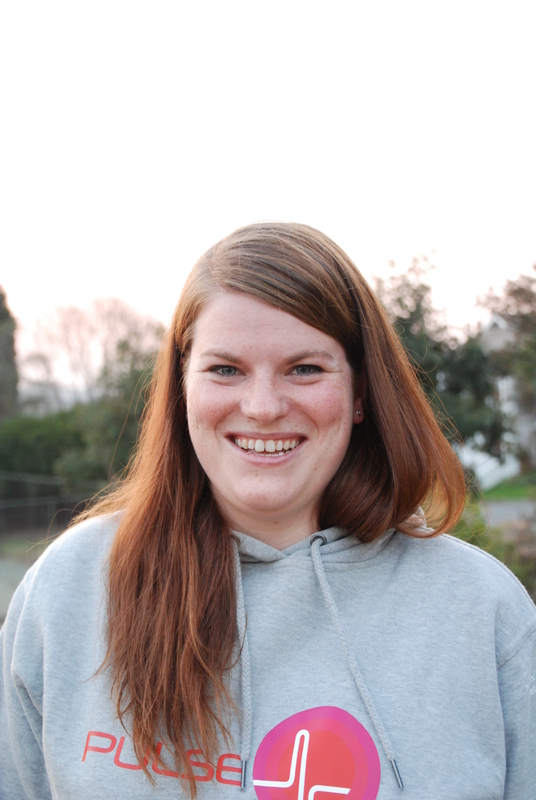 She has gone the steps from being a Tutor in Training in 2003 to becoming a tutor in 2007. In 2008/2009 she participated in an exchange program in USA where she was part of the Pioneer Drum Corp in Wisconsin. In 2011 she was selected to be part of the Field Band Academy for two years. After the academy she was appointed to be the Programme Officer of the Danielskuill PPC Field Band. Now she is ready to work in Norway with the PULSE project, and she is really looking forward to get to know the Norwegian culture and its people. Dineo is from Cullinan outside of Johannesburg. She has been a part of Field Band Foundation for the past ten years. In 2013 she graduated from the Field Band Academy (FBA). During this year she took part in recording FBF’s second CD and played at the international music festival, Edge of Wrong, in Cape Town. Dineo became a dance tutor in 2007 in Cullinan before she started playing trumpet after a few years. After graduating from FBA she returned back there to work as an administrative assistant. She was also part of the Facilitator in Training program at the FBA in 2014. In June 2014 she went to Belgium and Norway as part of their international tour. She is very much looking forward to her year in Norway and at Toneheim Folkehøyskole. 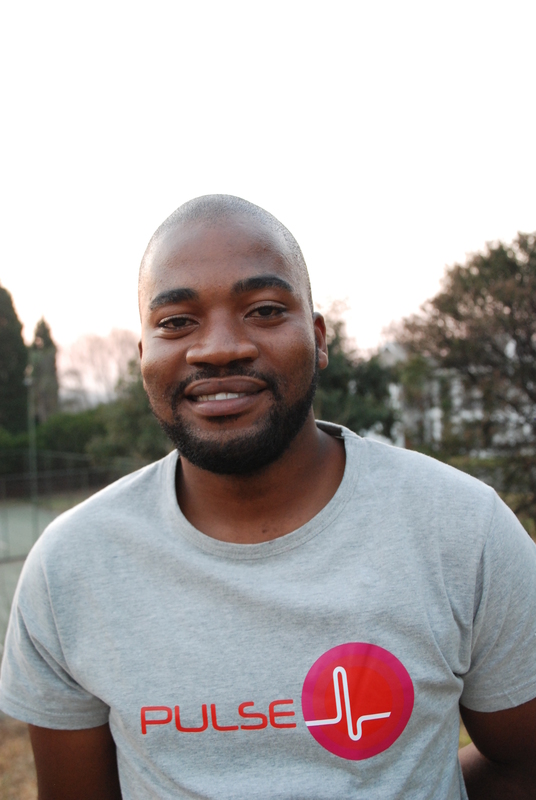 Thulani was born and raised in Soweto in Johannesburg. He started the Field Band Foundation in 1999 where his main instrument is trumpet. He has been working as a tutor for many years in the organisation. His last position was in Thabazimbi as a Program Officer for the band. In 2013-2014 he got the opportunity to be a PULSE pioneer in Norway. This year he is ready to be in the PULSE program for the second time! This time he will be based in Oslo working with the Norwegian Band Federation on their inclusive project together with Katja Furnes and the former PULSE participant, Anne Oksfjellelv. 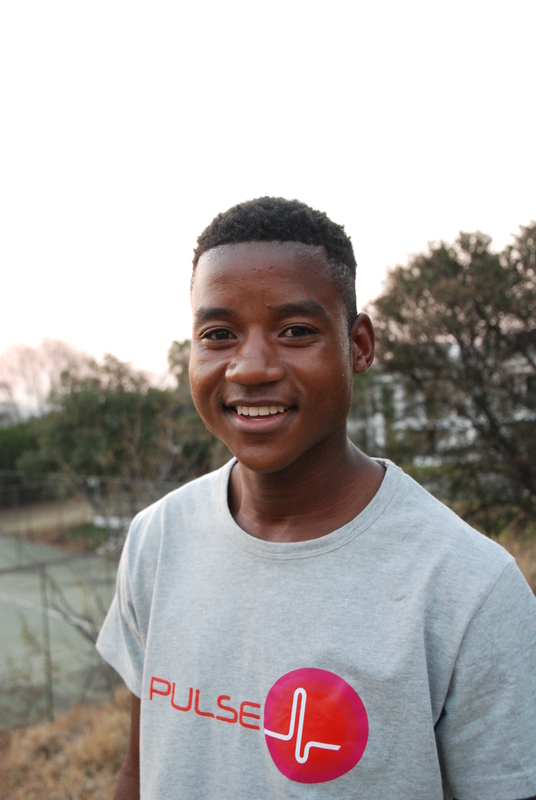 Thulani is very grateful that he has gotten another opportunity to go back to Norway. He is looking forward to make a change in the youth of Norway and South Africa, and to meet new challenges that will develop him to be a great leader. What a great bunch of people for a great project! Thumbs up to you all!